Confidential items (ie Items for Closed Meeting) are dealt with at the end of the Ordinary (Open) meeting.? This session of a Council meeting is closed to the media and general public.? The Council then returns to Open Meeting and any members of the public are welcome to attend. 8.4???? Financial Reports 30 June 2009 - Statement under Sect. 413 ? 10.2?? Bridge Names - Lovedays Bridge ? 15????? REVERT TO OPEN MEETING FOR DECISIONS IN RELATION TO ITEMS DISCUSSED IN CLOSED MEETING. Funding declined.? Work on preparing plan to be scheduled. ????? Survey complete. GHD site mapping complete. Lab testing completed.? Property boundaries defined. Concepts 2 weeks, report 6 weeks. Draft returned to GHD with comments. That during the first half of 2009/10?? Council call for community input into a new Environmental Levy program for the 5 year period to the end of 2014/2015. Questions in survey to be referred to Council. ??????? The annual report from Country Energy will shortly be available. A full report will be prepared on all these matters when the annual report arrives. The RTA is endeavouring to respond to all claims as they are received by either site inspection or photographic evidence assessment.? RTA office advises all Councils that urgent issues, particularly those involving public safety, can be discussed and if possible agreed by phone and email to expedite their early restoration. Claims from all affected parties are not received at the one time, and many involve staged submissions, inspections and complex investigation and design for the restoration of slips and bridges.? As such, it is not possible to advise a timetable. Council has resolved on 01 October 2009 to write to the Premier concerning the delay. August 2009.? Council?s Engineering Designer? is delayed with natural disaster work and preparing a design for Council?s industrial land in Nambucca Heads.? To be reported in November along with the future operation of the saleyards generally. No reply at 17 July 2009 ? simply acknowledged. No reply at 7 September 2009. No reply at 21 September 2009. No reply at 30 September 2009. Preliminary concepts forwarded to Chamber for 1st round of comment. Report will be prepared for Council once comment is received. Listed for 19 November 2009. Due to the resignation of the Officer this project is now being reviewed in consultation with State Government Agencies and will be reported to Council. That Council write to the NPWS concerning relocation of dingoes to Yarrahapinni/Way Way area. Council undertake a workshop to explain the making of rates and rating categories generally. Scheduled for GPC on 14/10/09. Council receive a report on the tests conducted on the piers of the Congarinni Bridge. Tenders called for major maintenance.? Close on 28 October 2009. Scotts Head Draft Master Plan.? Preparation of a business plan and finalisation of principles. The Department of Lands and consultants to attend Council on a date to be fixed. Dates of GPC 17/9 and 14/10 suggested. Briefing by Department on 14 October confirmed. Advice on legal consequences of not proceeding with draft IWCM strategy; advice from DWE re not proceeding with draft IWCM strategy; application for grant funding of $20m from the Commonwealth.? Also that Council review its drought management strategy. Letters sent.? A meeting has been sought with Minister for Water and Climate Change in Port Macquarie on 25 August 2009. Discussions to be arranged with DWE on review of drought management strategy. Council to be advised on time line for review. A meeting be sought with the Minister for Roads to outline and support the submission for funding for Riverside Drive. Dip filled.? To be further assessed. DA received and being assessed. Assessment deferred pending outcome of legal advice. Cr Flack ? Board displaying policy and reward re tree vandalism and also advice on stabilising slope with trees being killed. Dept of Lands has been asked to consider a vegetation management process to avoid vandalism. Department of Lands sign erected 23 September 2009. Department does not support this proposal ? see attached letter. That an approach be made to Port Macquarie Hastings Council and Kempsey Council seeking a special Professional Fishes Vehicles on Beaches Permit. Letter sent to both Councils. No response at 21 September 2009. No response at 30 September 2009. Men?s shed to proceed.? They will prepare building plans.? Land will need to be leased. When Council next conducts a ratepayer survey, pose questions concerning importance of climate change and what expenditure priority should be attached to it. Next ratepayer survey scheduled for late 2010, 3 years after the last survey. Proposed to bring forward survey with Environmental Levy survey. That Council seek a meeting with the NSW Minister for Transport to request a significant contribution to the replacement of the bridge over Deep Creek.? Andrew Stoner MP to be advised of the situation. Letter signed by Mayor sent on 18 September 2009. Consultant advises that individual submissions have been returned to Council.? A response to each submission is being sought from the author of the report (Dept of Commerce). Progress with Draft Nambucca Local Environmental Plan 2009 ? Section 65 certificate and exhibition. Receipt of Section 65 Certificate expected by 9 October 2009 to enable 6-8 weeks exhibition prior to end of 2009. That the DES providing a grading program which is a schedule rather than a policy. Monthly program to be provided on website. Copy to be provided to Councillors. Additional information relating to sustainable water management be included on website including water conservation and reuse, links to appropriate sites, all water restriction levels and details of Council?s tank rebate scheme. Proposed to engage a contractor, www.savewater.com.au to provide and update the information and links at a cost of approximately $3,500 per annum. That Council review the six water restriction levels. Letter written to DWE regarding review seeking their comments. Report to GPC in December 2009. Council investigate opportunities for funding for a part time Natural Resources Officer in a possible alliance with Bellingen Shire Council at no cost and that a report be prepared on the roles and responsibilities of the position. Report to GPC in November 2009. The report makes recommendations in relation to arrangements for the Christmas/New Year period. 1??????? That Council close the Administration Centre for the period Tuesday 29 December 2009 to Thursday 31 December 2009, noting that emergency services will be on call in regard to water, sewer, rural fire service, dog control etc. 2??????? That Council conduct only one Ordinary Meeting of Council in January, being Thursday 21 January 2010 as well as the General Purpose Committee Meeting on Wednesday 20 January 2010. 3????????? Close the Administration Centre and some or all of the following worksites: Depot, Waste Facility, Libraries and Visitor Information Centre. For some time now, Council has closed the Administration Centre between Christmas and New Year. Solicitors and developers normally take this period as a holiday break and the number of customer enquiries in years prior to closing has been minimal. There have been no formal complaints received or issued raised in relation to Council?s Administration Centre closing between Christmas and New Year. This year the public holidays fall on Friday 25 December 2009, Monday 28 December 2009 and Friday 1 January 2010. It is therefore proposed to close the Administration Centre between Tuesday 29 December and Thursday 31 December, re-opening Monday 4 January 2010. Employees will be required to take paid leave for the shut down period. Those employees who are union members are entitled to an additional public holiday on Tuesday 29 December 2009 for Union Picnic Day in accordance with Clause 18B of the Local Government (State) Award 2007. The closure will be advertised in the local media. With regard to Council?s Libraries, affected staff advocate remaining open between Christmas and New Year as the library is well patronised during this period. Similarly, Council?s Depot, Waste Facility and Visitor Information Centre have remained operational. Staff via the Consultative Committee, staff meetings and memos. No environmental implications as emergency services are still available. Staff based at the Administration Centre will not be accessible during the close down period. However, emergency services will be available and other worksites will remain open. No risk implications as emergency services are still available. There is no impact as staff are required to take paid leave. AUTHOR/ENQUIRIES:???? Steven Williams, Property Officer; Michael Coulter, General Manager ???????? 6??????? That a report come to Council on the ability to transfer the building to the Bowraville Community Development Association Inc for a token fee but ensuring that it remain in community use, cannot be on-sold and any potential liability to Council in the transfer. This report is submitted to apprise Council of the legal advice obtained in attending to the resolution. That Council note the legal advice received from Fishburn Watson O?Brien with respect to the ability of Council to transfer Title to the Pioneer Community Centre to the Bowraville Community Development Association Inc for a token fee but take no action in relation to the creation of caveats or other contractual restrictions. There is no real option to the recommendation.? The advice was sought to assist Council in their deliberation on the future of the Pioneer Centre. Council may reject the advice and/or seek further legal advice. Staff approached Solicitor Mr Michael Bigelow, a Property Law Consultant to Fishburn Watson O?Brien Solicitors in Coffs Harbour. Mr Bigelow was provided a brief history of the property and the issues raised by way of previous reports presented to Council. 1Q???? Can Council ensure the building remain as a community use building (if transferred to the Bowraville Community Development Association Inc)? A?????? Yes.? That a Contract be prepared including a Covenant (create by Transfer including covenant) that the building remain for Community use.? It would be wise, however, to clearly define ?Community use? to avoid potential future argument. 2Q???? Can Council restrict on-sale or have a right to re-acquire at a later date if sale/transfer conditions are not met? A?????? We can not include a condition that the building is not to be resold as this would constitute a Restrictive Trade Practice. Based on the terms raised in time 1 above at least the building use can be accurately confined.? Should Council seek the right to re?acquire the property for any reason then an Option Contract would need to be? prepared and exchanged contemporaneously with the Contract for Sale. 3Q???? Can Council avoid liability for compliance work required to the centre upon transfer to the Incorporated Body ? A?????? This question goes to compliance issues generally ? basically the Contract for Sale should contain an indemnity that Council makes no representation as to fitness for intended purposes, building compliance or state of repair.? This is especially pertinent given the nominal transfer amount proposed.? This is premised on the assumption that all work completed has been done with the requisite approvals. The above advice is submitted to assist Council when determining the recommendation put forward following the tendering process. Defining the community use for either all or part of the building will likely be impossible.? In the first instance there will be differences as to what is a legitimate community use.? For example some will define the Saturday morning markets as a community use.? Even if there is a definition of community use, the Community Association has indicated that they want to rent the building to generate revenue.? The second question then is to what extent such revenue generating activities will be allowed to displace community use. By way of an update; advertising for the sale of the Centre commenced in the first week of October 2009 and Tenders close on 11 November 2009.? Tender information is available from Council?s website and is being made freely available to prospective applicants over the counter. ????????? An on site inspection for Tenderers has been scheduled for Thursday 29 October 2009 by appointment between 9.00am and 11.00am.? This date has been set in consultation with 2NVR and the Committee of Management. Potentially Council is exposed to a degree of risk if it acts contrary to the legal advice in so far as it will expose itself to or unnecessarily involve itself in legal matters that could otherwise have been avoided. The recommendation do not affect budget requirement. Working funds are not required. Council?s financial reports must include a statement in approved form as set out in Sect. 215 of the Local Government (General) Regulation as to its opinion on the general purpose special purpose financial reports.? The declarations are required under the Local Government Act and Local Government Code of Accounting Practice and Financial Reporting and therefore needed in order for an audit to commence. Council at its meeting on the 17 September 2009 resolved to adopt the June Budget Review Financial Report for the year ended 30 June 2009 subject to the Financial Statements being audited by Council?s Auditor. The audit is scheduled to occur during this week and it is expected the final audit will be completed to allow the audited Statements to be provided to the Department before the 31 October 2009 and presented to the Public prior to the end of November 2009. A further report of the results for 2008/2009 will be presented to Council prior to presentation to the public. ?????? The Local Government Asset Accounting Manual. ?????? Accord with Council?s accounting and other records. Financial implications were discussed as part of the 30 June Budget Review presented to Council at its meeting 17 September 2009. Results for the year ending 30 June 2009 will be finalised in report on the audited Financial Statements. Environment and Planning Department Development Application statistics for the financial year 2009-2010 compared with 2008-2000 and Certificate Applications received and determined, are provided in the body of the report. The figures show a 21.31% increase in the number of DA?s received for September 2009 with construction costs increasing by 25.56% compared to the same period in 2008/2009. The total number of DA?s/CD?s approved for the month of September was 18 plus 3 modifications. Awaiting responses from LALC and DoP.
? Would the use of the shed create more traffic? Site meeting held with applicant 14/09/09. Verbal advice from applicant ? application to be withdrawn. Awaiting written confirmation. The following is the Contract Regulatory Officer?s Report for September 2009. That the report from the Contract Regulatory Officer for September 2009 be received and noted by Council. Attached for Council?s endorsement is a copy of the minutes of the Nambucca Shire Council Access Committee Meetings held on Tuesday, 25 August and 22 September 2009. Whilst there are no specific recommendations for Council?s endorsement, attention is directed to a key item which was discussed at both meetings, being the development of a Pedestrian Access and Mobility Plan (PAMP) for Macksville, Nambucca Heads and Bowraville. The plan will provide an indication of priorities for work around the central business areas and may assist Council in seeking funding for improvements to the streetscape. 1??????? That the minutes of the Access Committee meetings held on 25 August and 22 September 2009 be noted. 2??????? That Council note the work being undertake in the preparation of a Pedestrian Access and Mobility Plan and Street Furniture Audit for the central business areas of Macksville, Nambucca Heads and Bowraville. The key item of interest from the August and September meetings is in regard to the preparation of a PAMP for the central business districts of Macksville, Nambucca Heads and Bowraville. The PAMP process will also involve an audit of street furniture to provide a comprehensive record of what items of furniture are located around the business areas. Council has received a grant from the Roads and Traffic Authority to undertake the study and has engaged consulting firm GHD to prepare the Plan. Council?s Engineers are overseeing the project with assistance from Council?s Access Committee, Manager Planning and Assessment, and Manager Community and Cultural Services. 6??????? Complement existing and planned pedestrian ways. ?????????????? Separate Street Furniture Audit. There are a number of steps in the research phase including site investigations, data collection and direct observation. Targeted consultation is also useful and to this end, GHD met with the Access Committee and other key stakeholders at the August meeting, to seek direct comment from people with disabilities. The research stage is well underway at the time of preparing this report. A draft document is expected later in October. Note: A detailed list was compiled by GHD and that together with the results of their own survey will be prepared for the draft PAMP report. At this point Moira Ryan, Glenys Munro, Ruth Hannagan, Keith Shaun Lawer, Salome Manahan, Nick Buchanan, and Jackie Amos left the meeting and the time was 3.20 pm. Council?s Manager Technical Services, Keith Williams tabled an updated proposal for the area around Woolies in Nambucca Heads. No particular access issues identified. At this point Keith Williams left the meeting, the time was 3.30 pm. The 2 submissions which have been received for the final input into the Policy were discussed. There were no particular concerns from the Access Committee as it felt that the draft policy would cover the matters raised by the Macksville and District Chamber of Commerce and Mr Boulton. Deferred to a future meeting when the various options can be inspected. Members in attendance to reported back ? very Coffs Harbour focussed. Minutes will be circulated when received. Next meeting is 9 October at Nambucca Shire Council. Representatives from the Access Committee will review ongoing attendance in regard to its value. Next meeting will be on Thursday 10 September at Coffs Harbour. Noted. Information regarding a national warning and national approach to problems involving scooters was tabled. Peter Shales (Chairperson), Cr Anne Smyth, Cr Michael Moran, Margaret Hutchinson, Shirley Holmes, Dorothy Secomb, Coral Hutchinson, Donna Primmer, Valerie Taylor, Cecilia Wilson, Alba Sky, Patricia Walker, Les Small. MOVED Margaret Hutchinson, seconded Dorothy Secomb. Carried. The Committee noted that the consultants are working on the draft to be tabled in October 2009 for the Committee?s review and comment. Keith Williamson and Coral Hutchinson are liaising with GHD for further meetings and the Committee agreed that if there was no additional cost they would be happy to meet again, however this won?t be necessary if there is. From Report to Council last Thursday 17 September 2009, it was noted that Council has adopted the policy with an amendment that A frame signage can continue and not requiring enclosed sale tables and enclosed areas for tables and chairs for dining. Council advises that these abovementioned business items require development approval for any new plans, but are allowing a 2 years grace period for existing approvals and agreements. Members in attendance reported back ? very Coffs Harbour focussed. Minutes will be circulated when received. 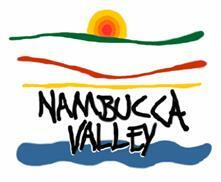 Next meeting is 9 October at Nambucca Shire Council. Peter Shales, Anne Smyth and Shirley Holmes will attend. Apologies received from Donna Primmer, Margaret Hutchinson, Dot Secomb. Committee suggested a contact number for local On duty chemist to be put on brochure. Donna Primmer agreed to research information. Ambulance, Hospital and chemist phone numbers also to be included on list, then circulate via tourist office. Representatives from Coffs, Bellingen, Nambucca and Hastings committees attended. Coral Hutchinson gave the committee a report. Motorised Scooters were a hot topic and it was agreed to research other national Scooter campaign already in operation. The next meeting will be at Nambucca Shire Council on 10 December and minutes from the September meeting will be circulated when available. Committee discussed the existing paths and future roundabouts, and proposed crossing currently under discussion in the Bellwood and Nambucca Plaza area. Concerns were shared regarding a pedestrian crossing being needed from McDonald over to Plaza and Movies. Committee discussed the need for consultation with Council Engineers to communicate concerns over future planning and construction of roundabout and crossing in the area, and the existing public footpath linking pedestrians from the highway to the rear of Nambucca Plaza near Bawrunga Medical Centre. Valerie Taylor advised the committee of her concerns over the increased traffic flow, congested footpaths and illegal parking around Bawrunga Medical Centre It was noted that some of the access problems are probably on private land. Follow up action will include gathering information regarding the ownership of problem areas. Coral Hutchinson ? tabled Code of Conduct and reminded members of their responsibilities in conducting Access Committee business on behalf of Council. Coral agreed to provide all Committee members with a copy. Alba Sky ? Requested update on progress on Adams Lane Bowraville. Alba requested a speed bump to slow traffic using the lane and to ensure pedestrian safety. Dorothy Secomb ? Nambucca Valley Youth Centre has been putting an A Frame sign out that keeps tripping her over. Michael Moran ? Advised that he may not be able to attend future Access Committee meetings if they conflict with his medical appointments. Next Meeting ? 27 October 2009. Coral Hutchinson will be an apology. Attached for Council's endorsement is a new Development Control Plan (DCP) "Guidelines for Sediment and Erosion Control".? These have been developed to ensure tighter control of pollution incidents on building sites and developments within the site.? The option of a DCP is put forward (rather than a policy approach) as it provides more control over people who are polluting the environment. This DCP together with the Protection of the Environment Operations Act 1997 will ensure less sediment and pollution from building sites end up in waterways. That the draft Guidelines for Sediment and Erosion Control Development Control Plan (DCP) be adopted and implemented as a Development Control Plan (DCP) and advertised accordingly. Erosion is the degradation and removal of soil by the movement of water. Sediment control is the physical control of erosion and the depositional processes that produce excess sediment on building sites. Erosion occurs in a short period during, and immediately after, the construction stage of a site. Sediment removed by erosion damages lower land, blocks stormwater drains, and is eventually deposited in the receiving waters. The result is turbidity in natural water bodies, a reduction of recreational value, damage to the aquatic environment, smothering of seagrasses and shoaling further downstream in the estuary. Eroded land represents a cost to the developer, the purchaser, or the rate paying community. Restoration may require the repair or renewal of underground services, reforming the soil surface to fill minor gullies and rills, importing topsoil to replace that lost by erosion or burial during the construction process, and establishing stabilising ground cover. For example a single building block can lose four truckloads of soil in one storm. The implementation of a range of erosion control techniques, to manage stormwater run off at a non-erosive velocity and by protecting disturbed soil surfaces, can maintain stability and prevent erosion. ?????????????? To enable Council officers to educate the community and enforce the accepted methods of erosion and sediment control to all sites where development is taking place. ?????????????? To minimise erosion and sedimentation from all sites within Nambucca Shire, resulting from the disturbance of the soil surface associated with urban development, building works, changes in land use, installation of services and infrastructure and the subsequent disposal of stormwater into receiving waters. ?????????????? To conserve vegetation cover throughout the catchment by control of the location, timing, extent and nature of land clearing. ?????????????? To minimise erosion of disturbed ground within building and development sites through the control of surface water quantity and flow paths. ?????????????? To intercept and contain eroded material from building and development sites, avoiding the transfer to adjoining lands and waters of mobilised sediments from these sites. ?????????????? To ensure prompt, practical and effective stabilisation of disturbed lands through control of the location, timing, extent and nature of rehabilitation and landscaping measures. There were no submissions received from the community for the Draft Sediment and Erosion Control DCP. Loss of sediment from the land will be reduced. Water quality improved with decreased turbidity from building site run off.? Sedimentation of seagrass beds will be reduced downstream, fish habitat will improve in the river.? Decreased silting of nearby wetlands in new subdivisions. The time spent by Council staff dealing with sediment control issues on building sites will be reduced as issues will be easily dealt with, by using the DCP. The reduced maintenance on Council drainage infrastructure. There are no expected impacts on budgets. There are no impacts on funds. This Plan may be cited as Nambucca Control Plan (DCP) ? Erosion and Sediment Control (2009). This plan applies to land to which Nambucca Local Environment Plan 1995 (NLEP) applies. ???????? Any changes in the rate and/or volume of run-off entering, directly or indirectly, to any waters or flows over land. This DCP provides guidelines for best practice and covers requirements for erosion and sediment control on building development sites within the Nambucca Shire Council Local Government Area. In assessing development proposals, Council will have regard to the provisions of the Environmental Planning and Assessment Act, 1979; how the development conforms to the provisions of this DCP; and how it satisfies the objectives and principles of other relevant legislation and planning controls. This DCP applies to all forms of development as defined under the Nambucca Council Local Environment Plan 1995 or otherwise defined under this plan and meets the objectives of the Protection of the Environmental Operations Act 1997 and the regulations made thereunder. This DCP should be read in conjunction with Councils existing Development Control Plans and Policies for the type of development proposed and more specific requirements. The Plan is to be implemented at 1) the development application stage; 2) prior to commencement of any works when the extent of the earthworks for the site is revealed; 3) during works and; 4) if any amendment to a development approval requires further erosion and sediment control considerations. Developers and applicants are encouraged to consult with Council Officers prior to the preparation of their development applications. a??????? To enable Council officers to educate the community and reinforce the accepted methods of erosion and sediment control to all sites where development is taking place. b??????? To minimise erosion and sedimentation from all sites within Nambucca Shire, resulting from the disturbance of the soil surface associated with urban development, building works, changes in land use, installation of services and infrastructure and the subsequent disposal of stormwater into receiving waters. c??????? To conserve vegetation cover throughout the catchment by minimising land clearing and where vegetation removal is necessary, by controlling the location, timing extent and nature of land clearing. d??????? To minimise erosion of disturbed ground within building and development sites through the control of surface water quantity and flow paths. e??????? To intercept and contain eroded material from building and development sites, avoiding the transfer to adjoining lands and waters of mobilised sediments from these sites. f???????? To ensure prompt, practical and effective stabilisation of disturbed lands through control of the location, timing, extent and nature of rehabilitation and landscaping measures. g??????? To ensure effective use of this plan for improved sediment and erosion control practices within the catchment and to enforce compliance of relevant standards therein. k??????? any development of a class or description that is prescribed by the regulations for the purposes of this definition. Approval ? Consent or authorisation given by an appropriate authority. Building Works ? Any physical activity involved in the erection of a building. Council ? Nambucca Shire Council. Council Activity ? Includes any activity on land owned by or on behalf of Council outlined in section 2 of Council?s Erosion and Sediment Control Development Control Plan. DCP ? Development Control Plan. d??????? The subdivision of that land. Erosion ? The removal and/or transport of soil or materials from a given area, by the processes of wind, water and or/gravity. Erosion and Sediment Control (ESCP) ? A plan showing how potential erosion and sedimentation occurring on a given site, as a result of building, development or an activity, will be minimised. Land Use ? Refer to definition for activity. Sediment ? Material of varying size, both mineral and organic, that is being, or has been, moved from its site of origin by the process of wind, water and or gravity and comes to rest on the earth?s surface either above or below sea level. Fine sediment is a fraction of sediment consisting of silt (particles 0.002mm ? 0.02mm in diameter) and clay (particles <0.002mm in diameter). Sedimentation ?The deposition of eroded soil, sediment or other material. Subdivision ? Dividing land into parts. Waters ? Any river, stream, lake, lagoon, swamp, wetlands, unconfined surface water, natural or artificial watercourse, dam or tidal waters (including the sea), or part thereof, and includes water stored artificial works, water mains, water pipes, and water channels, and any underground or artesian water, or any part thereof. Erosion is the degradation and removal of soil by the movement of water and/or wind. Sediment control is the physical control by various means, of erosion and sediment run off created by disturbance of soil surfaces. Erosion can occur in a short period such as prior (after vegetation clearing), during, and after, the construction stage of a site. Eroded land represents a cost to the developer, the purchaser, the environment and downstream water users and industries. It can also represent a cost to ratepayers if remediation is required. Restoration may require the repair or renewal of underground services, reforming the soil surface to fill minor gullies and rills, importing topsoil to replace that lost by erosion or burial during the construction process, and establishing stabilising ground cover. For example a single building block can lose four truckloads of soil in one storm (DECCW 2009). The implementation of a range of erosion control techniques, to manage stormwater run off at a non-erosive velocity protection of disturbed soil surfaces, can maintain stability and prevent erosion. This DCP is a statement of Nambucca Shire Council?s requirements and expectations for the MINIMUM standards for erosion and sediment control. Should you require further information regarding Nambucca Shire Council?s Development Control Plan - Guidelines for Erosion and Sediment Control please contact Council's Environment and Planning Department. The successful implementation of this DCP will establish the minimum standards that Nambucca Shire Council expects from development sites. Combining both education and compliance, pollution caused by excessive sediment loads from the construction sites will decrease over time and lessen the impact that development has on the Shires land and waterways. Nambucca Shire Council has a commitment to minimise the amount of soil that is being removed from our catchment through stormwater run-off, by ensuring that the development activities within the Nambucca LGA are approached in an ecologically sustainable manner. 2.3.1????? During the undertaking of any works specified in Clause 1.3, all soil materials arising from the removal of vegetation, clearing, levelling, filling, excavation and/or disturbance of any site, including the placement of any building material stock piles shall be wholly contained on the site and not be permitted to enter adjacent lands, street gutters, drains and/or waters. ????????? Implement erosion and sediment control measures specified in this DCP. ????????? Council retains the discretion to the discretion to decide whether a proposed ESCP is adequate. Nambucca Shire Council retains the discretion to decide when an erosion and sediment control plan is required. 2.3.3????? Where an Erosion and Sediment Control Plan (ESCP) is required, Council, or Private Certifier approval must be obtained prior to any soil disturbance (as per Clause 1.3) occurring. ???????? Have the appropriate authority (Council or Private Certifier) to make decisions on the site without further consultation. 2.3.5????? During the course of the development or work, control designs and measures may need to be amended and the approved ESCP reviewed. Any deviations from the original approved ESCP are to be approved by the appropriate authority. 2.3.6????? The approved control measures must be implemented prior to any land disturbance (as per Clause 7.2.1) commencing and be maintained until the completion and/or effective establishment of stabilisation works. Once in place, the approved control measures shall be effectively maintained for as long as they are required (If unsure, Council staff are available to comment on whether controls are adequate or still needed). 2.3.7????? All site personnel are responsible for notifying the appropriate people for the authorised or unauthorised removal of any erosion and sediment control measures. The control measures must be reinstated within the same day. Council will implement the DCP by incorporating requirements for erosion and sediment control as conditions of consent for each development application approval. All personnel on the site are responsible for ensuring that the conditions of consent are complied with. It is Council?s and/or the PCA?s responsibility to enforce this plan. Another way that Council will enforce the DCP is by ensuring that during the environmental assessment of an application, erosion and sedimentation control is considered and amended where required. Council officers and/or the PCA will inspect control measures as part of their routine inspections. Council officers and/or the PCA will also conduct random inspections to ensure compliance with environmental legislation. 4.1.1????? ESCP?s can vary depending on the complexity, scope and nature of the development. The plan can be in the form of a simple statement for minor proposals to detailed plans and associated documentation for major proposals. 4.1.2????? For major proposals that are staged over an extended time, a staged ESCP should be prepared. 4.1.3????? An ESCP must demonstrate that the appropriate controls have been planned and when implemented will be effective in minimising erosion and sedimentation, including the removal of excess water off the site without causing environmental harm. 4.1.4????? Unsatisfactory ESCP?s will be rejected and development applications will not be approved until an amended plan satisfactory to Council has been submitted. ???????? a strategy to manage erosion and sedimentation is considered early in the planning stage and is integral in the initial site development. Refer to Sections 1.3 and 2.3 to determine whether an ESCP is required. ???????? minimise the potential for sediment laden water to leave the site and/or enter a stormwater drain, water body or watercourse. The ESCP must account for all aspects of development of the site and must be effective from the initial clearing of the site through to the completion of the development. ???????? details of reasons for staging. ???????? name of person responsible for implementing ESCP. 4.7.1????? Construction drawings and/or written specifications must be provided for the structural erosion and sediment controls proposed. Applicants are strongly advised to use the services of a suitably qualified and experienced person to design their ESCP?s. All submitted plans should bear the names and qualifications of such persons, acknowledging authorship. The following are minimum requirements that Nambucca Shire Council expects from all development and work sites described in Section 1.3 of this development control plan. All erosion and sediment control, pollution control and rehabilitation measures undertaken in accordance with this DCP shall conform to the specifications and standards contained in publications listed in Section 7. Stockpiles of building materials shall not be stored on nature strips, footpaths, roadways, access ways, public lands or within drainage lines and easements. The stockpiles on site are to be retained wholly within the site boundaries and protected with appropriate sediment and erosion control measures. Taking climatic and seasonal variations into account before any vegetation is removed and/or soil disturbance. During wetter months large amounts of sediments are lost from the site, if work is held up due to rain periods, then this may create problems with maintaining sediment control structures. The stormwater guttering and downpipes are to be installed and connected to Council?s approved drainage system. Connecting the stormwater early will improve site access and drainage and prevent erosion. A sediment fence is to be erected along or adjacent to the down-slope boundary(s) of the site and constructed from an approved geotextile filter fabric to capture the sediment from stormwater run-off. Either ends of the fence should be keyed into the ground and turned up-slope. Excessive sediment build up behind the fence must be regularly removed in order for the fence to stay effective. In circumstances where the sediment fence is located adjacent to the street, the fence is to be erected on the development side of the turf filter strips and within the property boundary. Sediment traps are to be located at all points where stormwater leaves the site and enters the street stormwater gutter or drainage system. There are various methods of sediment traps and the most appropriate method should be implemented. The sediment traps are to be cleaned regularly in order to maintain effectiveness. An all weather site access pathway for vehicles is to be provided. All vehicles entering and exiting the site must be limited to a single controlled area so as to avoid excessive ground disturbance. Appropriate sediment controls must be implemented at the entry/exit point to prevent sediment being tracked off the site such as aggregate extending a minimum of 6 metres into the site for a shaker. The all weather access may require additional aggregate from time to time. All run-off from driveways, access ways and water used to clean sediment off wheels of vehicles must be drained into an approved sediment trapping device on site. A strip(s) of turf 600mm wide, should be installed adjacent to the street gutter should the soil on the nature strip be disturbed. The turf aids in filtering stormwater run-off and prevents erosion of the site. Native vegetation of the nature strip should not be removed to make way for turf. a??????? Minimise area to be cleared and leave as much vegetation as possible. b??????? Install sediment fence(s) along low side of the development before work begins. c??????? Divert up-slope water around the work site and stabilise channels, but ensure that the neighbouring property is not flooded. d??????? Provide a single stabilised entry/exit point for the site that is clearly marked for deliveries to the site. Any additional vehicles are to park on the roadway and not on Council?s footpath. e??????? Leave or lay a kerb side turf filter strip to slow the speed of water, minimise erosion and trap excess sediment. f???????? Stockpile soil and other materials within the sediment controlled boundaries. g??????? Sweep the road every day and dispose of waste material on site. Washing of roads, driveways and footpaths is forbidden. h??????? Provide guttering and downpipes, connected to an approved stormwater system once the roof framework has been completed. i???????? Maintain erosion and sediment control measures for entire period of construction including during the final rehabilitation period. j???????? Keep logs of maintenance and cleaning schedules and have them signed by the appropriate person at the end of each day. k??????? Protect all stormwater entry points with approved filtration device e.g. sand bags, geotextile fabric installed under the stormwater grate, hay bales wrapped in geotextile fabric. l???????? Ensure all staff on site are aware of their obligations under current environmental legislation and conditions of consent for the development. Council?s approval of development applications will be subject to compliance with submitted erosion and sediment control plans. Section 125(1) and 76A(1) of the Environmental Planning and Assessment Act 1979 deals with the development not carried out in accordance with development consent. A person found guilty of an offence against this Act shall, for every such offence, be liable to the fixed penalty (approx $600) expressly imposed and if found guilty in a court a penalty is imposed not exceeding 10,000 penalty units and to a further daily penalty not exceeding 1,000 penalty units. ?an incident or set of circumstances during or as a consequence of which there is or is likely to be a leak, spill or other escape or deposit of a substance, as a result of which pollution has occurred, is occurring or is likely to occur. It includes an incident or set of circumstances in which a substance has been placed or disposed of on premises?. A person who is found to be responsible for or to be causing a pollution incident may be liable to set penalties under the Protection of the Environment Operations Act 1997. o?? Issued to polluter and/or person in control of site to repay Council for costs incurred in the clean up when the action of the polluter was too slow or non existent. ?? Up to $1 000 000 for a corporation and in the case of a continuing offence a further penalty of $120 000 for each day the offence continues. 6.2.1 ???? Failure to comply with the submitted ESCP causing a pollution incident to occur will result in Council issuing a penalty notice under Section 120 and/or Section 167 of the Protection of the Environment Operations Act, 1997 for every day that the offence occurs. More serious matters may be heard in the Local Court or in the Land and Environment Court. 6.2.2 ???? Failure to comply with the submitted ESCP will result in Council serving either a Clean Up Notice and/or a Prevention Notice under Sections 91 and 96 respectively of the Protection of the Environment Operations Act, 1997, or a penalty notice under Sections 125(1) and 76A(1) of the Environmental Planning and Assessment Act 1979. Again, more serious matters may be heard in the Local Court or in the Land and Environment Court. ????????????? Further to this Council may issue an order under Section 121B of the Environmental Planning and Assessment Act 1979 to comply with development consent. Information contained in this DCP has been taken from specifications and standards contained in the following available publications. Hunt. J. S, (1992) Urban Erosion and Sediment Control, Department of Conservation and Land Management (CALM).??? The requirement for Council to develop a Strategic Companion Animal Plan (SCAMP) was identified in the Promoting Better Practice program Review Report, recommendation number 34 finalised in August 2008. The draft plan has been placed on public exhibition with two (2) submissions being received over the exhibition period and one other suggestion received in April 2009 relating to off leash area at Scotts Head. ?????????????? Move entry point to Scotts Head off leash area from Banksia Crescent to boat track in South Pacific Drive. This will provide more car parking area and reduce dog faeces on the Youth Centre walkway through to Fosters Beach. ?????????????? Concern about the lack of off leash areas in Nambucca Heads for residents in the Farringdon Village area. The beach at Swimming Creek is too far for people to get to, walking in sand which not always easy for all people. Need for additional off leash areas near Nambucca River, Stuart Island, picnic areas, Mumbler Street, Farringdon playing field, Macksville, Bowraville and Scotts Head. ?????????????? Council sponsor dog training classes and other activities such as agility training. ?????????????? Encourage through dog clubs a basic training and socialising unit to conduct suitable programs. ?????????????? Use of Council owned cat traps and need to educate cat owners to their responsibilities with straying animals and native fauna. ?????????????? Amendments to schedule 1 of the Draft SCAMP to increase access to reserve and beach areas at Scotts Head with time access limitations on leash. ?????????????? Change to access on public reserve and grounds regularly mown, changing to sporting or athletic ovals. 1????????? The revised Strategic Companion Animal Management Plan be adopted. 2????????? That Council formally consult with the Island Golf Club, the Nambucca Heads Local Aboriginal Land Council and the Department of Lands with a view to establishing a second off leash area at Nambucca Heads on Stuart Island. 3????????? That Council install a second faeces collection bin at the Scotts Head Day Reserve area and provide an additional $2,500 to cover costs to set up these areas (Stuart Island plus Scotts Head Day Reserve). 3????????? Council?s Companion Animals & Community Brochure for Cats and Dogs be amended to reflect the changes included in Schedule 1 of the SCAMP document. 4????????? Council?s website be upgraded to reflect the new brochure, new signage for the on and off leash areas within the Shire. 5????????? Council trial a program to rehouse one (1) animal from the Animal Shelter (Pound) per month, with animals to be sold for cost of microchipping, registration and any vet costs associated with each animal. Sale of each animal to be promoted on Council?s website and local media, provided no costs are incurred. 6????????? Access to the off leash area on Forsters (Main) Beach Scotts Head, faeces bin and signage be relocated to track off the end of West Street to the beach. 1????????? Adopt the draft plan as exhibited without making any change. 2????????? Amend the draft plan to incorporate suggested changes. 3????????? Amend the draft plan to incorporate some of the suggested changes. Council has considered reports to look at providing additional off leash areas for Macksville, Bowraville and Nambucca Heads west of the Pacific Highway and resolved not to proceed with additional areas due to setup and ongoing maintenance costs. The northern end of Stuart Island has for many years been used as an exercise area for dogs off leash, unofficially. The official designation of this area will also require the installation of a faeces collection bin and bag dispensing unit along with ongoing servicing of the facility. Estimated costs are $500 to supply and install bin and bag dispenser with annual servicing costs around $1,500 for collection of waste and supply of bags. The draft plan was placed on public exhibition for 28 days and advertised in the Guardian newspaper and on Council?s website over the exhibition period. Comments have been sought from Council?s contract Regulatory Officer. Comments have been requested from the Trust Manager of the Crown Reserve areas at Scotts Head who controls the areas being Caravan Park, Day Reserve area and foreshore reserve areas. The Trust Manager has no objections to trialling the suggested changes to on leash times on the land under the Crown?s control and has requested consideration of the installation of one (1) additional faeces collection bin on the reserve area to minimise potential problems. Schedule 1 ? Section 1a ? delete ?and Road to Headland Car Park? Schedule 1 ? Add ?Scotts Head Reserve Day Area? Schedule 1 ? Add ?Forsters Beach (Main Beach) & Little Beach ? Scotts Head? Schedule 1 ? Section 1b ? Delete ?in any public reserve and ground? and add ?on any sporting or athletic oval? Schedule 1 ? Delete ?Dogs are permitted on certain beaches as follows at all times? Schedule 1 ? Insert under Off Leash Area, ? Dogs are permitted on the following beaches at all times? Schedule 1 ? Delete ?Dogs are permitted on the following beaches before 9.00 am and after 6.00 pm.? Schedule 1 ? Insert after On Leash Only, ? Dogs are permitted on the following beaches at the times indicate.? Schedule 1 ? Inappropriate amount & location of off-leash areas within the shire. Suggested sites ? Nambucca River, Stuart Island, Mumbler Street or Farrington playing fields and suggested similar areas around Macksville, Bowraville & Scotts Head & other townships in the shire. Council sponsor dog training classes & other activities such as agility training. Local Vet has a puppy training program for 3-6 month pups, need for training program for next level of age & activity. Suggested formation of a suitable basic training & socializing unit with need to attract funding to utilize clubs from outside the shire. Concern about large number of residents from area west of the highway in Nambucca Heads that can?t get to Swimming Creek off leash area and the unsuitability of walking on sand for elderly. Need for a more suitable area on grass closer to this residential area. The provision of adequate exercising areas for companion animals is important to pet owners and also in allowing dogs exercises to assist in good behaviour. There are potential environmental impacts if dog owners don?t pick up after their pets. It is important that adequate facilities are installed and maintained when looking at designated off leash areas for dogs. The provision of exercise areas both on and off leash provides for social interaction between animals and their owners while providing good pet care. There are perceived economic benefits to communities due to animal welfare and personal health by regular exercising of animals and owners. Impacts on the local environment and public areas where dogs may are permitted and dog owners do the wrong thing by not picking up faeces. This can have impacts on other users of the public areas and pose public health risks. The two additional waste bins and one additional off leash areas to be established within the Shire will require additional funds of $2,500 for the first year and around $2,200/year thereafter to service and provide replacement bags for the dispenser unit. Costs to administer the companion animals program is partly funded through registration fees and infringement income. Costs far exceed the income for administering and running this activity of Council?s operation. Should Council decide to provide for one (1) additional off leash area on Stuart Island, Nambucca Heads and install an additional waste bin at Scotts Head, it will require an increase vote of $2,500 with additional operational funds to be considered in future management plans. Nambucca Valley ~Living at its best. Nambucca Shire has been reminded of its obligations under the Companion Animals Legislation for the need to develop a Companion Animal Management Plan following the Better Practice Review carried out in 2007. Council continues to provide a regulatory service via a contract with Beach 2 Bush Animal Control with contracts in place until 2011. Administration support is provided to the contractor via Council?s Administration Centre staff. The objective of the State Policy regarding animal welfare referred to in Section 4 of the Companion Animals Act 1998 is the protection of native birds and animals. 1b????? Ensure Council is notified or made aware of the existence of all dangerous & restricted dogs that are ordinarily kept within the shire. 2??????? Any other functions that may be conferred or imposed on a Council by or under the Companion Animals Act. 1.1?????? What is a Local Companion Animal Management Plan? The companion Animals Act 1998 is operational throughout the State of NSW and replaced the Dog Act 1966. It has introduced changes to the way dogs are required to be identified, registered and managed by local councils and the animal owners. In addition to these changes the legislation has introduced similar controls on cats. A Companion Animal Management Plan (CAMP) is a document that provides guidance to Councils in relation to their responsibilities in fulfilling their role under the Act & Regulations by detailing clear and relevant objectives and priorities while implementing education, enforcement and responding to complaints relating to Companion Animals. This management plan may need to be read in conjunction with other management plans or polices of Council in areas relating to compliance, enforcement, prosecutions, animal management and restrictions on pet numbers in Council?s LOCAL APPROVALS POLICY ?KEEPING OF ANIMALS?. The CAMP will also provide the general public and specifically pet owner?s better access to what Council?s objectives and priorities are in relation to administering the legislation. Part 2 (section 4) relates to the Actions and Outcomes. Different components of this plan may be changed from time to time due to legislative changes or Council?s policies. The plan draws together the various requirements of the Companion Animals Act 1998 and Regulation 2005 and Nambucca Shire Council?s Policies, Management Plan and resources. The plan relates to legislative requirements, Council?s role to act as an educator and compliance authority. This plan relates to the education of owners of dogs and cats and compliance under the provisions of the Companion Animals Act & Regulation. The keeping of other animals as pets is addressed under Council?s Local Approval Policy for the Keeping of Animals 2009 and controls are set out under Part 5 Schedule 2 of the Local Government General Regulation 2005. These animals are not addressed in this Companion Animals Management Plan. Under the Act a companion animal must be permanently identified (microchipped) from twelve (12) weeks of age ? (Section 8 of the Companion Animals Act 1998). The Act also requires pets to have an identification collar and tag ? (Section 12 of the Companion Animals Act 1998). A companion animal is required to be registered from the age of six (6) months of age (Section 9 of the Companion Animals Act 1998). Note: Exemptions for certain animals are set out under Section 16 of the Companion Animals Regulation 2008. Section thirteen (13) of the Act sets out criteria relating to the establishment of off leash areas and restricted times of days that may apply to such declared areas. Section 13(6) of the Act requires that there must be at least one (1) public off leash area within the shire available at all times. ?? Fosters Beach, Scotts Head, north of the access track off West Street, near the Bowling Club. Council has considered locations in Bowraville and Macksville for additional off leash areas and resolved not to proceed with the establishment of these additional off leash areas. ?? having accessible off leash areas for dog owners to exercise their pets will assist with compliance of pet owners when walking dogs in on leash areas. Council has meet its statutory requirement under the Act in providing three (3) off leash areas within the Shire. Dog off leash areas for smaller urban communities will continue to be an issue for local residents and will need to be re visited from time to time. Section 731 of the Local Government Act 1993 gives protection to Councils and their authorised officers for acts done in good faith for the purpose of executing that or other Acts. A Wildlife Protection area is a public place that has been declared by Council for protection of wildlife. Council declared a number of areas throughout the Shire as restricted areas on 1 July 2004 and these are listed in Schedule 1 of this management plan. ?? repeatedly causes substantial damage to anything outside the property on which it is ordinarily kept. Straying dogs in rural areas can cause damage through stock and wildlife attacks. In urban areas straying dogs are a concern to public health and safety and the safety of other pets and wildlife. Pet owners need to be reminded of their responsibilities to restrain dogs when off their properties and contain their dogs on their property. Barking and noisy dogs are an issue that consumes a portion of Council?s Regulatory Officers patrol time. ?? dogs being excited by activity in adjoining properties. Resolving noise complaints can be very time consuming for staff and often these issues cause ongoing disputes between residents. Council or Authorised Officers of Council may declare a dog as dangerous under Section 34 of the Act. iii?????? A declaration has effect throughout the State and imposes very onerous requirements on a dog owner. Penalties are increased substantially for dog owners whose dog offends once a declared dangerous has been made. Requirements placed on dog owners under the Companion Animal Regulation 2005 once declared are set out in Schedule 2 of this plan. Local Courts also have the power under the Act to declare a dog dangerous. Once a declaration is made it cannot be revoked for a period of twelve (12) months by Council or unless revoked by an appeal to the Local Court. Decisions to declare a dog dangerous or to revoke a declaration is to be notified to the Director General within seven (7) days.
? Any other dog of a breed, kind or description prescribed by the regulations for the purposes of this section. An authorised officer of Council may under Division 6, sections 58A and 58C of the Companion Animals Act may declare individual dogs to be a restricted dog which will apply to that dog while housed within the State, unless revoked by the Council or the officer who has made the declaration. A proposed declaration may be challenged by the dog owner by getting either a breed or temperament assessor?s written report on their dog that refutes the claims made by the Council officer. Dog attacks on stock or persons have caused death within the State and legislative changes have been made to the Companion Animals Act to ensure all such attacks are reported to the Department of Local Government within seventy two (72) hours of Council being made aware of the attack. Council has a responsibility to report back to the Department on what actions have been taken in response to any dog attack. The requirement to have cats permanently identified and registered is a new requirement introduced under the Companion Animals Act 1998. The two main impacts of cats are related to straying domestic cats to neighbouring properties and their impacts on native fauna. There is a need to deal with all types of cats, domestic, feral and stray cats. A wildlife protection area is a public place that has been declared by Council for the protection of wildlife. ?? cat bans in new housing subdivisions/estates, where there are specific environmental concerns. Council has cat traps which are made available to residents and rate payers to trap feral and straying cats. These traps are constantly on hire with cats being delivered to the animal shelter in Kelly Close, Macksville. ?? repeatedly damages anything outside the property on which it is ordinarily kept. Nuisance cat orders are dealt with in the same procedure as dog nuisance orders; however dealing with nuisance cat complaints is much more difficult as it is very hard to confine cats to a specific property. Council has a dual role when enacting the Companion Animals Act 1998, being to educate animal owners and enforcement of the provisions of the Act. Education is part of Council?s contract requirements with Beach to Bush Animal Control. A standard set of operating procedures have been developed for ensuring consistency when dealing with offences which provide animal owners with a verbal warning, then a written warning and third offence a penalty notice is issued. Council?s ability to undertake these two aspects depends on animals being registered and correctly identified. Education programs should be targeted at all Shire residents and not just animal owners. Education is an ongoing matter to ensure that seasonal holiday visitors are informed of Council?s policies and requirements under the Act. Council through pamphlet distribution and dealing with customer service complaints provides further education of the shire community. The keeping of companion animals can play an important roll for elderly and also for children in developing friendships and areas of responsibilities. Council has a dual roll of ensuring dangerous animals are removed from public areas and re-housing suitable animals impounded or surrendered to Council?s animal shelter. ?? Ensure a safe built environment for people and companion animals to co-exist. ?? Look at future strategies for companion animal management within the Shire for the next five (5) years. The Action Plans will form the basis of Council?s Annual Management Plan. The Action Plans are set out in Part 4 of this plan. Education provides Council with an avenue to inform pet owners of their responsibilities in the public context and compliance with the legislation. It is also important to involve non pet owners, especially children in how to behave around animals. Any education program forms part of the Contract agreement between Beach to Bush Animal Control and Council. ?? education of pet owners at localities throughout the Shire. The type of education needs to be both formal and informal. Formal (letters, brochures, pamphlets, programmed meetings and media releases) and informal meetings and discussion with pet owners one on one when conducting interviews and patrols. Local Government has a new role through the education process to help inform pet owners and the general public of the social benefits of owning domestic pets and caring for them so as to reduce their impacts on the built and natural environment. Through education and patrols within the Shire pet owners are made aware of their responsibilities under the legislation to minimize the impact of their pets on the built and natural environment. The requirement to permanently identify and register animals is a legislative requirement and is an important aspect in enabling the public and regulators to reunite lost and straying animals with their owners. The Companion Animal Register enables Council to have a data base of all animals within the Shire should they need to contact or provide education to pet owners. Follow through on unregistered pets & pets that are micro chipped but not registered to ensure all animals are registered. The encouragement and promotion of pet owners to desex their pets is considered to be a high priority to prevent animals breeding and creating unwanted animals that stray and are often released to the natural environment. Concessions are provided to pet owners when registering animals that are desexed. Noise complaints against dogs can be time consuming for regulatory staff and be the cause of ongoing neighbourhood disputes. The Companion Animals Act 1998 provides specials procedures and reporting requirements for dealing with dangerous dogs, dog attacks and restricted breeds. Dangerous dogs and restricted breeds have stringent requirements for housing and handling dogs when in public areas. Dogs and their owners are regular users of public open space, and some dogs cause problems for other public space users and the environment. Depending on the location and number of complaints Council may need to review the need for additional off leash areas within the Shire. Council has also restricted dogs from some open spaces and these are set down in Schedule 1 of this plan. Any variations or additions to these areas need to be undertaken in consultation with the local community. Council has a pamphlet which is used to advise pet owners of the restricted areas and location of off leash areas within the Shire. See Schedule 1 and Council?s website www.nambucca.nsw.gov.au. Restricted access areas and off leash areas are signed, with all signs being audited annually. Disseminate, educate & advertise changes to the areas for an on leash, off leash & restricted areas & commence enforcement. 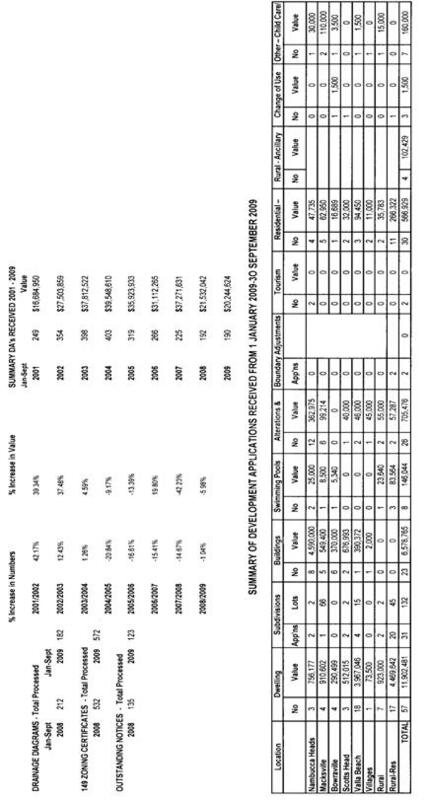 Education undertaken by Regulatory Officer within one (1) month of changes being adopted by Council. Correct identification and registration details play an important role in returning straying dogs to their owners. Dog owners need to have effective barriers and fencing to confine dogs on their property. Section 20 of the Act requires dog owners to pick up and remove dog faeces when in public areas. Faeces has an impact on the environmental, potential health issues and general loss of amenity. Recognition that this requirement is difficult to enforce leads to lack of successful enforcement. Recognition of the importance of faeces removal is a aspect that needs to be a high priority in the educational process. Council has a duty to provide suitable receptacles for the disposal of dog faeces pursuant to section 20 of the Act. The requirement to permanently identify and register cats was introduced into the Companion Animals Act in 1998 with the exemption for cats born before 1 June 1999. Council can restrict cats from entering special public places. At this stage Council has not proposed any additional restricted areas over and above those set down in the Act. Council has five (5) cat traps that are hired out to residents of the Shire to assist with the removal of feral and straying cats. Trapped cats are generally taken to Council?s Animal Shelter. Further education is required to heighten cat owner?s awareness to their obligation under the Act to have their pets registered and to contain them on their property. The Companion Animals legislation has been written with a greater emphasis on the impacts of keeping pets on the built and natural environment. Health benefits identified, animals contained within properties. Council has operating procedures relating to enforcement procedures in place and these procedures need to be reviewed annually or as circumstances change. Council has adopted a Compliance, Enforcement and Prosecution Policy. All enforcement is seen as a last resort following education and initial verbal requests for compliance. Once adopted the plan will be subject to on-going review as new legislation, issues and priorities emerge. Amendments to the plan need to be recorded to enable accurate tracking of trends in relation to registrations, complaints, infringements and orders and animal shelter activities. Funding sources for the Animal Management controls come from registrations, fines and Council?s annual budget. RSPCA, NSW Police, National Parks & Wildlife Service, Landcare, NSW Fire Brigade, Rural Lands Protection Board, Department of Local Government and Animal Rescue Organisations registered with Council. 1?????? Dogs are prohibited in the following public places within the Shire. g??????? any part of a shopping plaza which is used by the public for parking or access to shops, except with the permission of the person in charge. Dogs are permitted on the following beaches at all times. a??????? Nambucca Heads ? from Swimming Creek beach access northwards to the footbridge access to the beach from the public reserve adjoining Valla Park Resort across Deep Creek. b??????? North Valla Beach ? from the access path off the car park on the northern end of Cockburn Street (4WD access) to the northern boundary of the shire. c??????? Scotts Head ? from the beach access path off West Street & Banksia Crescent? northwards. Dogs are permitted on the following beaches at the times indicated. a??????? North Valla Beach ? from the timber walkway on the north side of the headland to the access path referred to in 2(b) before 9.00 am and after 6.00 pm. b??????? Nambucca Heads ? from the northern end of main beach car park northward to Swimming Creek beach access before 9.00 am and after 6.00 pm. c??????? Scotts Head Forsters (Main) Beach & Day Reserve area ? before 8.30 am and after 5.30 pm. d??????? Scotts Head Little Beach ? before 8.30 am and after 5.30 pm. 1??????? For the purposes of Sections 51 (1) (c) and 56 (1) (a1) of the Act, the requirements set out in Subclauses (2)-(4) are prescribed as the requirements that must be complied with in relation to an enclosure for a dangerous or restricted dog. j???????? provide a weatherproof sleeping area of sufficient dimensions to enable each dangerous or restricted dog kept on the property to shelter from the weather. c??????? display the warning sign referred to in Clause 26. b??????? weldmesh manufactured from at least 4mm wire with a maximum mesh spacing of 50mm. For the purposes of Section 58H (2) (b) of the Act, the fee of $100 is prescribed. 1?????? For the purposes of Sections 51 (1) (d) and 56 (1) (c) of the Act, a sign or signs complying with Subclause (2) must be situated so that the words ?Warning Dangerous Dog? are legible to any person immediately before entering the property by way of any gate, door or other entry point. c?????? show the words ?Warning Dangerous Dog? in letters that are, in any case, at least 50mm high and 10mm wide. iii?????? 50mm for a dog weighing more than 40 kg. 2?????? A dog must not wear any such collar unless the dog is a dangerous dog or a restricted dog. ???????? is guilty of an offence. Maximum penalty: 8 penalty units. 4??????? A person does not commit an offence under this clause if the person does not know, or could not reasonably be expected to know, that the collar is of the kind prescribed for the purposes of Section 51 (1) (d1) or 56 (1) (c1) of the Act. 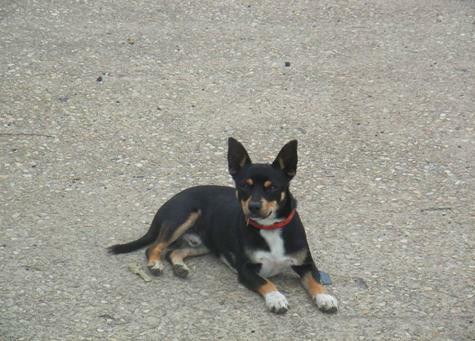 Any breed identification certificate or breed registration certificate issued by the Royal New South Wales Canine Council Limited in relation to a dog is prescribed for the purposes of Section 58C (3) of the Act, but only if the certificate contains the unique identification number allocated to the microchip that has been implanted in the dog in connection with its identification under this Regulation. Council is currently moving forward with the pre construction phase of Nambucca District Water Supply Off River Storage Project.? The project is deemed to be subject to assessment in accordance with Part 5 of the Environmental Panning and Assessment Act 1979 and this necessitates the preparation of an Environmental Impact Statement (EIS). GHD Pty Ltd has been engaged as Council?s consultant to complete the EIS as well as the concept designs for both the infrastructure and storage components of the project. A draft EIS document has now been prepared and reviewed by the Project Executive Team and is considered suitable for public exhibition.? It is recommended that the document be placed on public exhibition as soon as possible so that the exhibition period does not clash with the Christmas holiday period as this may cause unnecessary delay to the project program. 1??????? That Council endorse the draft Environmental Impact Statement for public exhibition for a period of 8 weeks to run from 20 October to 15 December 2009. 2??????? That the deadline for receipt of submissions be set at 15 January 2010. 3??????? That all submissions received as a result of the Environmental Impact Statement exhibition be recorded and forwarded to GHD for comment and assessment for inclusion in the final report as deemed appropriate. Council may choose not to place the document on public exhibition and seek further clarification and work from GHD prior to recommending it for public exhibition. The Nambucca District Water Supply Off River Storage Project is a proposal that is deemed to be permissible without development consent.? As such it is required to be assessed in accordance with Part 5 of the Environmental Panning and Assessment Act 1979. In effect this stipulates that an EIS for the project must be prepared to satisfy the requirements of the Director General.? Council is free to proceed with the proposal subject to the EIS gaining the approval of all regulatory authorities. Council engaged GHD to prepare the EIS and this work is being carried out in conjunction with additional engagements to complete concept designs for both the project infrastructure and storage.? The draft EIS is now complete and has been reviewed by the Project Executive Team, consisting of Vincent Joseph and Michael Partridge from Public Works, Glenn George from the Office of Water and Richard Spain (Council?s Manager Water and Sewerage). Council is required to place the document on public exhibition prior to making any decision on whether or not they will proceed with the proposal. Given that Council has indicated that it wishes to see the EIS exhibited for longer than the required statutory period of 28 days it is preferable that the exhibition takes place as soon as possible.? This will ensure that the exhibition period will not run over the Christmas holiday period with the potential to cause significant delays to the project timetable. It is considered that a public exhibition period of 8 weeks will provide sufficient opportunity for interested parties to review the document and prepare a submission as they see fit.? The deadline for submissions could also run into mid January to as an additional measure to ensure that every possible chance is given for comments to be received. The public exhibition of the EIS will have no direct environmental impacts.? The document itself outlines the environmental implications that the proposal will have if it is implemented. The public exhibition of the EIS will have no direct social impacts.? The document itself outlines the social implications that the proposal will have if it is implemented. The public exhibition of the EIS will have no direct economic impacts.? The document itself outlines the economic implications that the proposal will have if it is implemented. There is considered to be little risk in placing the EIS on public exhibition.? Council must be seen to be transparent before making a decision on the project and the document must stand up to scrutiny from the public and regulatory authorities. There is greater risk in delaying the public exhibition and bringing about delays in the project program that have the potential to result in significant cost implications for Council. The public exhibition of the EIS document will have impact on the current budget. Council has committed to funding the preconstruction phase of the project which includes the preparation of the EIS.? Funding is allocated in the current budget to cover this work.